It's official I'm on a 5-days mini Easter break from my day job!!woot!!woot!! How will I kill all this free time!!!?? sewing? relaxing? partial spring cleaning? visiting my folks? One thing's for sure! There's some heavy sewing in the horizon. Have to start another "the dog in the air" baby quilt & Hugo's first book for a little guy in Germany. Fabrics have arrived so no more waiting! It's time to cut, fuse and sew sew sew!! This week was all about Peppa pig & some fresh love. 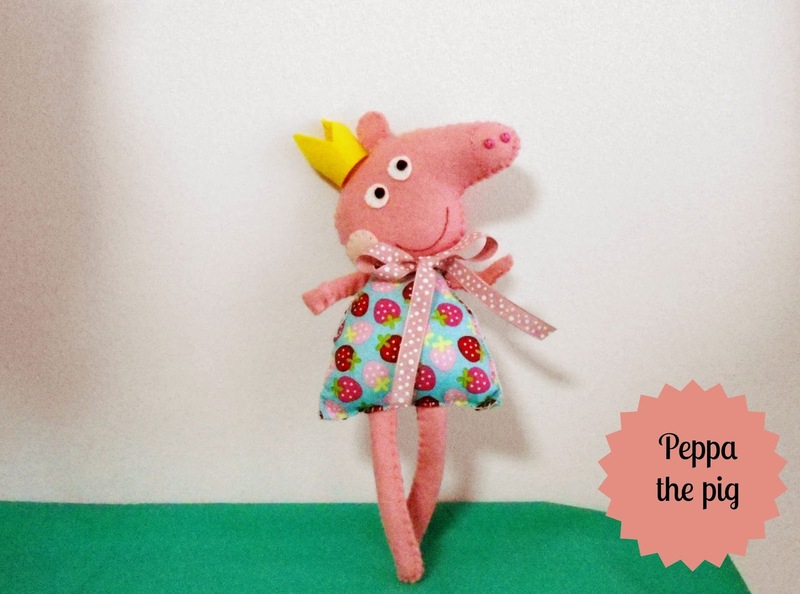 I've been asked to make a Peppa doll as an Easter lampada (the tradition here in Greece, goes like this, everyone in the church holds a candle in order to get the Holy Light when the Resurrection takes place, so the lampada is actually the Easter candle). I had never seen Peppa before, and I was happily surprised when I watched a 5-min episode of Peppa, since I knew that kids these days watch a bunch of crap (I grew up watching Sport Billy, Candy Candy, Nils Holgersson and his amazing adventures , I do hope they ring a bell all these children programs). 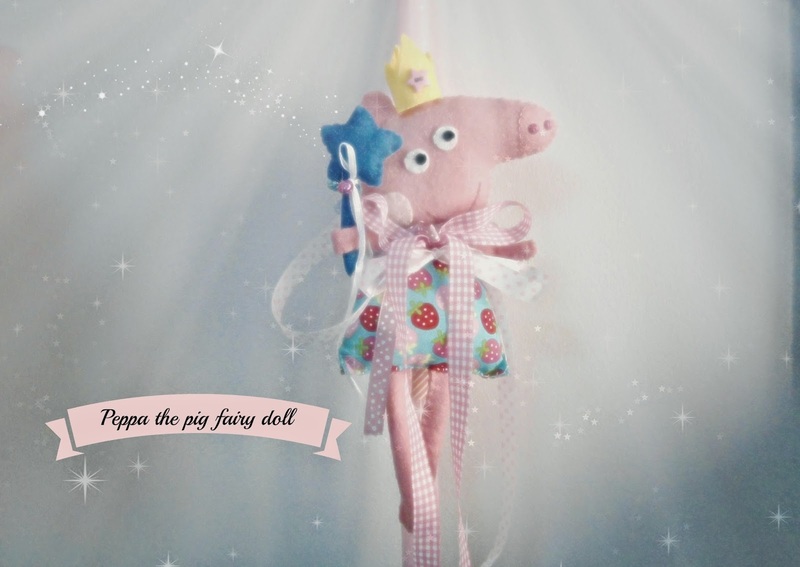 Anyways, here's my version of Peppa (she's a little fairy pig!!!). I have attached a set of wings on her back, but I didn't manage to get a decent photo of them!dah! !you know me and my photos!!! I hope that she'll be loved and taken good care cause she's just a little fragile Fairy!!! 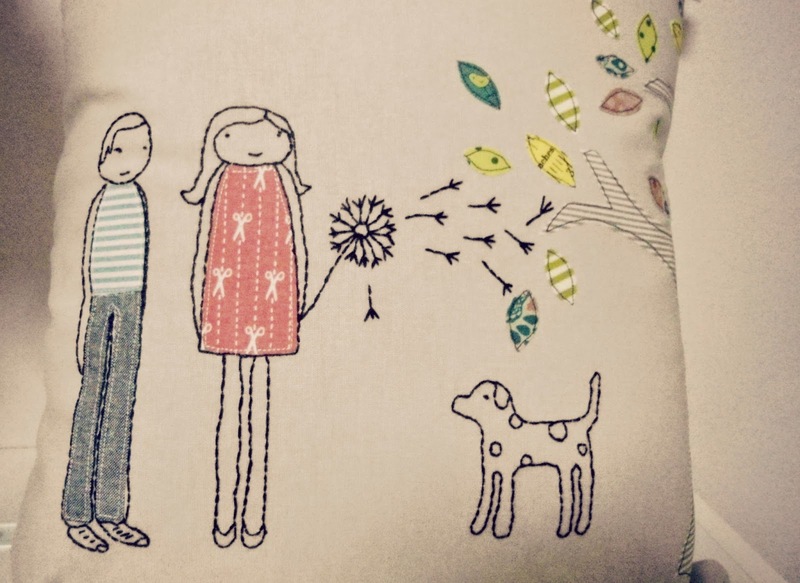 Other than that, I was asked to make a pillow for a fresh young couple in love. And here's my interpretation of a fresh love! You're the thief of my heart!!! 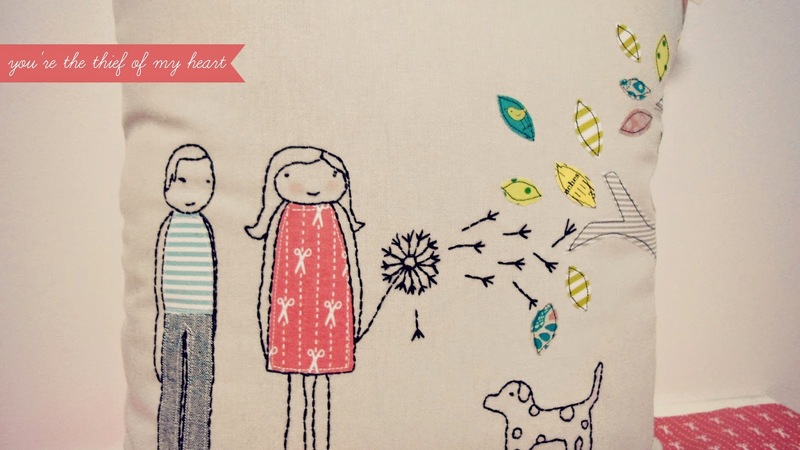 A cute little throw pillow filled with embroidery and applique love! My embroidery skills after so many projects still are at their lowest but I'm not giving up! Someday I'll stitch so straight I won't believe it!! hahhaha!!! Anyway, I'm wishing you all a Happy Easter!! Lots and lots of good times and laughter!! Ohhhh paper piecing...or I need your help!!! !